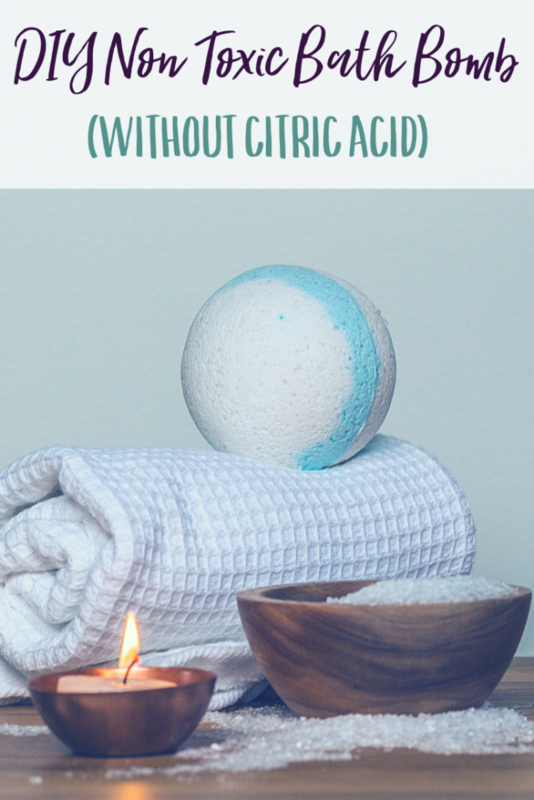 This nontoxic bath bomb recipe took me just a few minutes to whip up and was so luxurious in the tub. The essential oil scent was amazing and lasted the entire time, instead of fading, like many of the natural store-bought alternatives. Place all of the dry ingredients into a small mixing bowl and stir until well mixed. Add in the essential oils and mix well. You’ll get some clumps, but that’s okay. Drizzle 1 teaspoon of castor oil all over the mixture and stir again. Use a fork to flatten and break up the larger clumps that form. Repeat with the witch hazel. At this point, you’ll start noticing more and more clumping which is fine. Just keep breaking things apart with a fork or other stirring device. Finish by squeezing the lemon half over the mixture. You’ll get some fizzing but stir quickly to stop it. Repeat until you’ve squeezed out all of the juice from the lemon. Using your hands, form the mixture into a big ball with your hands (it’s like making a snowball!). Throw it into your bath water as the tub is filling. 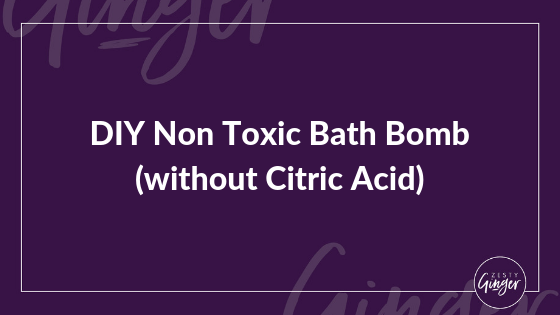 This recipe doesn’t create a bunch of fizzes since it doesn’t use citric acid, but it does the job. Then add yourself to the tub and relax away!